On the 16th anniversary of the September 11th attacks, 9/11 family member Bob McIlvaine and architect Richard Gage, AIA, will announce the Bobby McIlvaine World Trade Center Investigation Act at a news conference to be held at the National Press Club at 1 p.m. EDT. The Bobby McIlvaine Act is draft legislation that would empanel a select committee in either chamber of Congress to reinvestigate the destruction of the three World Trade Center towers on September 11, 2001. The act is named after McIlvaine’s son Bobby, who was killed at the age of 26 while entering the North Tower of the World Trade Center. McIlvaine has been an outspoken leader in advocating for a new investigation since the release of the 9/11 Commission Report in 2004. Gage, meanwhile, has worked diligently to educate and mobilize technical professionals since he founded the organization Architects & Engineers for 9/11 Truth (AE911Truth) in 2006. Today, AE911Truth represents close to 3,000 architects and engineers, as well as two-dozen 9/11 family members, who have signed AE911Truth’s petition calling on Congress to open a new investigation. 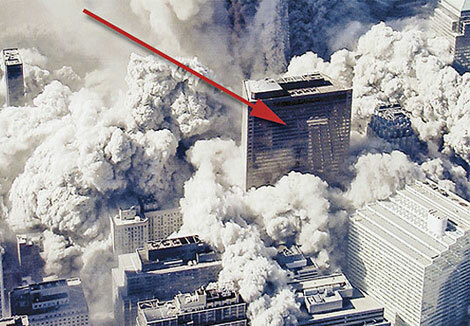 McIlvaine andGage will be joined by Peter Michael Ketcham, a former employee of the U.S. Commerce Department’s National Institute of Standards and Technology (NIST), the agency that was charged with investigating the World Trade Center disaster. Ketcham first spoke out against his former agency’s investigation in 2016 and has since joined with AE911Truth in championing a new investigation. At the conclusion of the news conference, McIlvaine, Gage, Ketcham, and supporters of the Bobby McIlvaine Act will proceed to the Capitol, where they will distribute packets to every member of Congress over the next day and a half. They will then work to assemble a bi-partisan group of sponsors and have the resolution introduced by next year’s September 11th anniversary. Wait wait wait! What are you, some kind of conspiracy theory nut? Just because WTC7 came down like a controlled demolition, and just because WTC7 was the home of the SEC which was investigating between three and four thousand cases of alleged criminal activity during Wall Street’s dot.com years – including the Enron scandal; that doesn't mean you get to go all crazy in the noggin. Put away your tinfoil hat, why don't ya. I applaud this new effort, but it goes against the mainstream. The 2004 9/11 report is a case-closed for the majority of Americans. Anything else and you're a Truther to be cast aside as a loon or whatever pejorative you prefer. Nothing will come of it. Too soon. This will be like the 1978ish investigation into assassinations. Fifty years minimum. Probably closer to a 100. Then it will join the Maine, The Lusitania, The Gulf of Tonkin, and other events where the official evidence has come to light or countless ones where the only thing missing is admission. By then it won't matter. The official narrative will be so well cemented it will be more difficult to teach people the truth than cutting through the Lincoln cult's hold on Abe's mythology. I always thought it was incredible that a tape recording made by air traffic controllers a few hours after the hijacking was intentionally destroyed notwithstanding a court order to preserve it. Asking the problem to investigate and fix itself? Anyone at all who has a brain capable of critical thinking should instantly recognize the fiction that is the "official" version of 9/11 and the collapse of the World Trade Center towers. I was in shock for a decade after that day, and did not look anywhere for any dissenting opinions. That changed when I tripped across a video of WT Building 7 going down. Just a few hours of basic research led me to the conclusion that what I had been told was simply impossible, and not true.